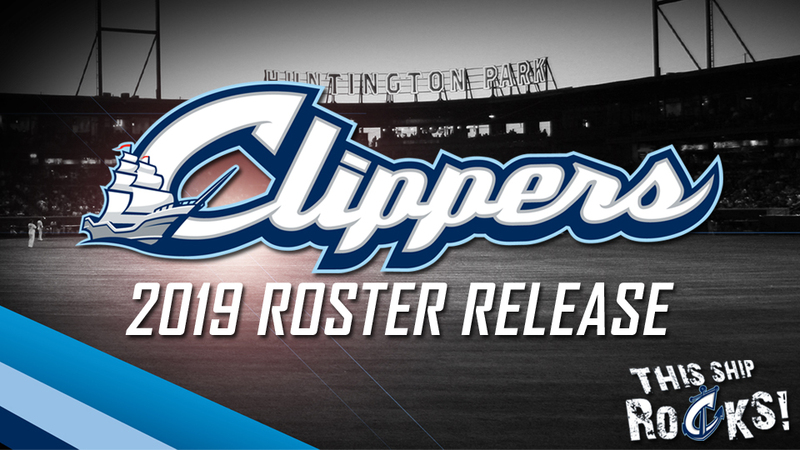 COLUMBUS, OH - The Columbus Clippers are pleased to announce the 2019 Opening Day roster that will take the field against Indianapolis for Thursday's regular season opener. The Clippers, ten-time Governors' Cup Champions, will return several players from last season's squad, along with many valuable additions. The coaching staff will look very different. New Manager Tony Mansolino takes over after Chris Tremie lead the team for a record six consecutive seasons. Mansolino has been a member of the Indians organization since 2011, the last 3 as a manager. He has compiled a 237-182 record while managing at Lake County, Lynchburg and Akron. The Pitching Coach will be Rigo Beltran, Andy Tracy will be the Hitting Coach and Kyle Hudson will serve as Bench Coach. Jeremy Heller replaces Chad Wolfe as Trainer. The lone hold over from last year's staff is Strength & Conditioning Coach Scott Nealon. - Starting pitcher Cody Anderson looks to build up as a starter, completing a comeback from a long rehab process following Tommy John surgery in 2016. Also in the rotation will be returnees Shao-Ching Chiang, who went 4-5 for the Clippers and Michael Peoples who split time between Columbus and Akron in '18. New additions to the organization, Jefry Rodriguez and Chih-Wei Hu will round out the rotation. - The Bullpen has some familiar names as Henry Martinez, R.C. Orlan and Nick Goody return. Veteran arms from outside of the organization include RHPs Asher Wojciechowski, Brooks Pounders, A.J. Cole, Nick Wittgren and LHP Josh Smith. - All-Star catcher Eric Haase will once again backstop for Columbus after leading the team with 20 HR's. Free agent signee Tim Federowicz split 2018 between the Reds and Astros organizations, playing at Triple-A and the Majors for both teams. Federowicz has spent parts of 7 years in the Majors with 5 different teams. - On the infield, Bobby Bradley will look to build upon a late-season promotion to Triple-A as the Clippers first baseman. All-Star Yu Chang returns as well. Veterans Mike Freeman and Ryan Flaherty were signed as a free agents and can play multiple positions around the diamond. After two years in Akron, utility man Mark Mathias moves up for his first taste of Triple-A ball. - The outfield has some solid leadership with 2018 Clipper of the Year Brandon Barnes returning following his 2018 All-Star campaign. Oscar Mercado joined the team after being acquired from St. Louis last year and showed flashes of great speed and offensive potential. After impressing the coaching staff in Arizona, Trayce Thompson will get an opportunity to shine in his first year with the Tribe. Recent free agent signees Carlos Gonzalez and Cameron Maybin look to start the season strong to help the organization. The 2019 season begins on Thursday, April 4th at 6:05pm against Indianapolis. For more information, log on to clippersbaseball.com or call (614) 462-5250.